Public historians have long been engaged in acts of repair. We restore and preserve objects and buildings. We reconstruct fragmentary evidence about the past and reconsider the stories it has been used to tell, including stories about past commemorations themselves. We contribute, directly or indirectly, to economic and civic revitalization efforts. Increasingly, we also align our work with social and environmental projects of reparation, putting ourselves in service of overcoming or resisting the effects of past damage, injustice, and exclusion. 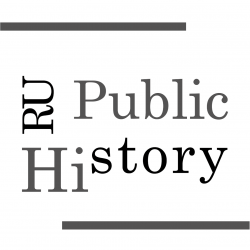 NCPH invites proposals for its 2019 conference in Hartford, Connecticut that explore how public history intersects—sometimes purposefully, sometimes with unintended consequences—with the ongoing task of making and remaking places, narratives, and communities.